What I'm curious about with the Fitzalan Place/Newport Road scheme is Howells themselves are involved in the scheme, and I think, own or owned the their old offices. So you'd like to think they'll at least sell it on to a different developer if they don't think that a 32 floor student housing tower is feasible any longer. Just like the Hope Street tower, it's clearly dragging on. I think the demolition Vaduz is referring to though is for what's going to be the Easyhotel a couple of buildings down, unless domolition has actually started at the Howells old offices as well? Anyone know? It is an interesting piece. I noticed that there's still only talk of 3 purpose built residential schemes planned though - so I'm assuming the low-mid rise at Dumballs Road, the Interchange and Capital Quarter plot 5. Surely all three should start this year, but it's still not that many really. Maybe there'll be more at Central Quay after the first phase, but also more residential in general happening in that project, the Dumballs Road area and maybe revised plans for the two taller student housing towers that are going nowhere currently? There's certainly enough land for it all, but I wonder if there's actual demand, particularly at a price people can afford? I suspect a lot of things are on hold / slowed down because of that which should not be mentioned. With student builds, the more upmarket ones, like Fitzalan Place and the Watkin Jones tower, were largely aimed at the overseas market which has very uncertain prospects at the moment. Ash wrote: I suspect a lot of things are on hold / slowed down because of that which should not be mentioned. With student builds, the more upmarket ones, like Fitzalan Place and the Watkin Jones tower, were largely aimed at the overseas market which has very uncertain prospects at the moment. I'm trying to pretend the thing that should not be mentioned is happening, but yes I guess it's affecting alot sadly. 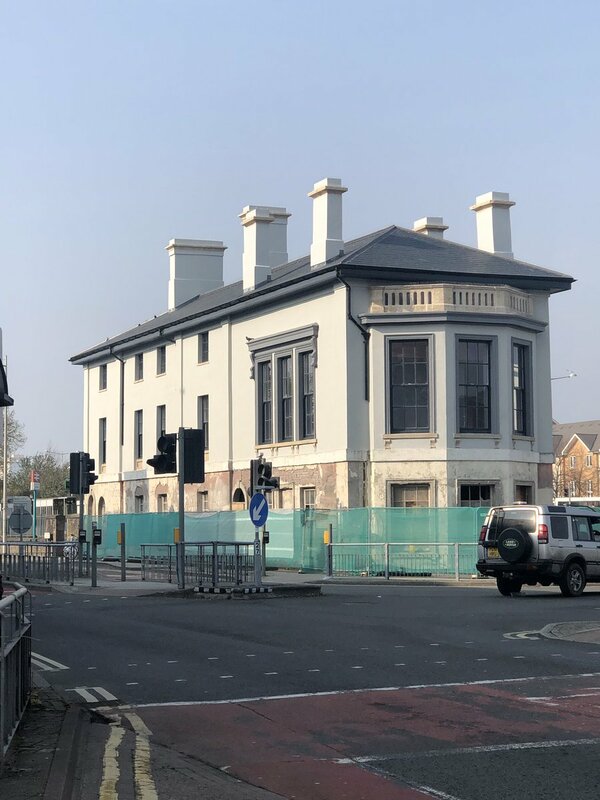 Kyle wrote: What I'm curious about with the Fitzalan Place/Newport Road scheme is Howells themselves are involved in the scheme, and I think, own or owned the their old offices. So you'd like to think they'll at least sell it on to a different developer if they don't think that a 32 floor student housing tower is feasible any longer. Just like the Hope Street tower, it's clearly dragging on. You're quite right - the site of the Easy hotel is completely clear and ready for construction. Last time I passed (within a week) no activity of demolition related to the students tower/s, but all buildings seemingly unoccupied. I'll watch that space and up-date! The capital centre has popped up again on Wales Online, interestingly the owner claims some news will be available in the summer about the proposed development from back in 2017. The Capital Centre needs to knock a wall somehow so that people can walk through instead of around it to get to or from Cardiff Queen Street station. Park Place will be closed this weekend to allow a tower crane to be erected for the new Cardiff University centre for life by the union. Cardiff Bay Station is coming along nicely.